It's Friday, and time once again for Maine's Political Pulse. Maine's new Legislature is gearing up to consider some 2,000 bills, but one measure could signal a bigger issue. Maine House Speaker Sara Gideon is proposing a paid leave bill that would be funded by a tax on employee earnings. Gov Janet Mills has vowed to not raise taxes. 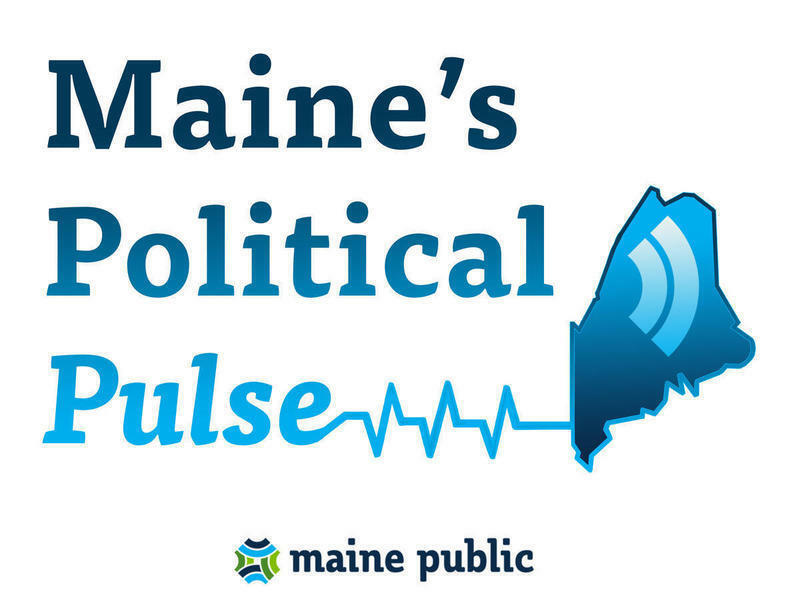 Joining Maine Public's Morning Edition host Irwin Gratz to talk about that and other legislative proposals are Political Pulse regulars Mal Leary and Steve Mistler. And I think, Steve Mistler, this is going to open that door for Republicans to cry that the tax-and-spend Democrats are back. MISTLER: Yeah, it certainly could. Now, it also creates a tension with Gov. Janet Mills, who has vowed not to raise taxes, and so this paid sick leave proposal, which would - I think it's a half of a per cent tax to pay for paid sick leave - certainly raise taxes. So immediately, right off the bat, you have this tension between Democratic legislators and the governor's office, which doesn't want to raise taxes. Now, we've sort of talked about this - you know, the idea that Mills is going to have battles with Republicans - that seems relatively obvious. But some of her biggest challenges may be with a Legislature that's controlled by Democrats and has a lot of pent-up demand for policies that it could not get accomplished during the LePage years. There was a lot of overhauling of the tax code and shifting of the brackets and everything else. Well, Democrats want to undo some of that so that the more wealthy people pay higher taxes, and that people below those high earners pay less. Now, the key is whether those proposals are revenue neutral. LEARY: And we were talking about pent-up demand, Irwin. I mean, one of the big pent-up demands for investments in capital areas like broadband, roads and bridges, buildings, and the number of bond issues coming in is just unbelievable. And the problem there is bonds aren’t free money - you've got to pay them back with interest. So only so much bonding can go on in the course of a year. And the interest rates on those bonds are going to be higher now than they were three or four years ago because of the actions recently of the Federal Reserve. MISTLER: That's right, and they're predicting potentially more increases in interest rates. Mal, historically, though, we have seen this play out before, have we not, where a Democratic legislature has found itself butting up against a Democratic governor? I'm thinking of, particularly, during the Baldacci [Gov. John Baldacci] years. LEARY: Yeah, and we're seeing - let's use the example of the Department of Agriculture, Conservation and Forestry. About six years ago Gov. LePage was able to put together what used to be [The Department Of] Conservation and Forestry with [The Department Of] Agriculture. But what's forgotten in all of this is that Baldacci wanted to create this huge Department of Natural Resources that added even other agencies of state government, like Marine Resources, into this mega-agency. And that got shot down by Democrats while he's the Democratic governor. So, we've had these battles before that are not necessarily along party lines, but they're more along philosophical lines. And there are a number of folks who want smaller state agencies that will be focused on particular issues. I'm just waiting for the bill to come in, Steve, that says we're going to split up the Department of Health and Human Services into the Department of Health and the Department of Human Services. MISTLER: Which used to be two agencies before. LEARY: Exactly. I suspect there's going to be legislation coming in - haven't seen the title yet but there's a lot of those titles that are sort of misleading. Funny you should mention [The Department of] Agriculture, Conservation and Forestry because there actually are some press reports out there that people want to split that agency back up as well. LEARY: There's a battle underway, and part of this has been exacerbated as Janet Mills has been looking for a commissioner that puts different things together. And, of course, the competing interests go, "Well, we want somebody that knows conservation. Well, we want somebody who knows dairy farming. We want somebody who knows potato farming." That's a battle that's been going on as long as we've had those departments around. MISTLER: and I think it's one of the reasons why it's taken so long for Janet Mills to name the commissioner of that agency. She was pretty quick out of the gate getting a lot of nominations announced, yet we're still waiting for that ag commissioner. I want to back up a step on our discussion about taxes, and that tension between the Legislature and the governor: Do we have any signals from Gov. Mills about how she does plan to handle spending proposals? MISTLER: During her inauguration speech she sort of sent this message that, listen we need to be careful - you know, there could be a recession right around the corner so we can't go hog wild ripping through our state's surplus raising taxes to approving initiatives that we can't pay for. How she treats spending initiatives is probably best addressed in her two year budget. She has a lot of initiatives which will require money and we will see how she plans to pay for those things. We'll see how it shakes out, but I suspect she's going to try to do what she can, either filling unfilled positions, which have gone unfilled over the last eight years in various agencies, or shuffling things around in such a way that she can achieve some of her initiatives without having to expand state government and then having to pay for it in another way. LEARY: And complicating her issue here with the budget is the fact that the surplus is not an ongoing surplus. I mean, I thought she sent a pretty strong hint in her inaugural address that she may do the same thing as Gov. LePage has done and put some of that in the Rainy Day Fund, worried about what might happen down the road. Gentlemen, thanks for the time. As always, we appreciate it. LEARY AND MISTLER: Thank you.